Hi, it's been a while since I have post something here in my Blog. Still busy tiding up our new place and have no time to make cards to share to all of you. Anyhow, this coming Friday, 7th of May 2010, I have decided to join my friends and fellow artist in ARTE @ Festival City, I have miss them so much plus spending time in my working table. 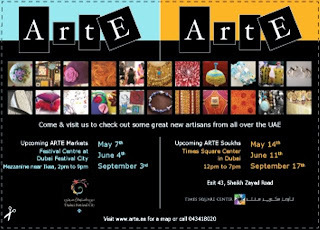 ARTE - Artist of the Emirates will be in Festival City, Dubai, U.A.E. on 7th of May 2010 from 2:00pm 'till 9:00pm. 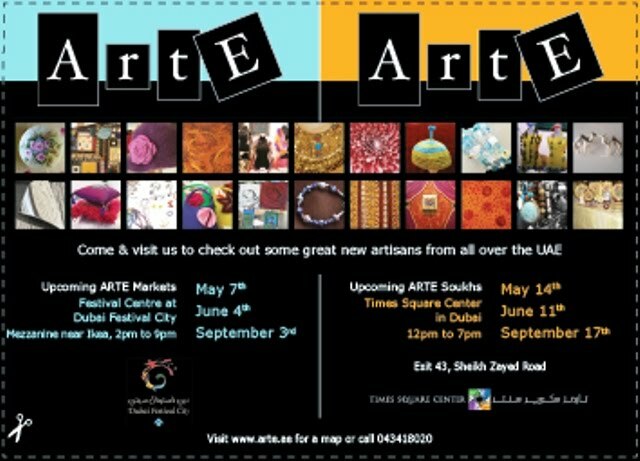 Please join us once again and you'll have fun time shopping with great deal of bargains and unique arts & crafts designed by local artists of the emirates. Hi Susan - hope things are good with you and that the move went ok.
Did you know you won the DSB monthly comp for April?....so that's 5 images to choose....have fun! Yeheyyyyy, 1st ever won something over any challenges I have joined. Thanks Sally-Ann!!! We are still in the process of tiding up our new place, but almost there. One more weakened and I'm back in making cards, I miss my working table so much, good thing hubby prioritize to have them fixed.